Thomas was going back home today so we found a spot up by the lock with a view over the golf course where there was a track to get a car down. We then waited for Thomas's mum and dad who turned up about 1.00pm. Cliff and Louise came with Jack, Matty, and Ella and we had already got the BBQ lit for their arrival. After a good chat and some grub the kids wanted to do some geocaching, so we walked off the BBQ and found two caches. This made us thirsty so we then found a pub up in the village and had a few drinks in the garden (with some chips) They left at around 9.30pm and Thomas left us with this little present he had made before he came on board. It is a small model of Derwent6 going into a lock, it even had the heart on it. Thanks for all your help Thomas, we had lots of fun and we really enjoyed your stay. After doing the washing up and having a bit of a tidy we went to bed. We all had some bits and pieces we wanted to pick up in Oxford so we had a walk into town but got caught up in a film crew filming a new series of Lewis for TV. We got back to Derwent6 around midday and then set off to find a mooring just out of town. Well we went through two locks and tried to moor up just before Duke's cut, but with no success. It was so shallow and rocky there was no way Derwent6 was going to get in there. So we headed up the cut and onto the Oxford canal. Blimey it felt so different.... It was very shallow, narrow and we were cleaning the prop again every two to three miles, but it was good to be back on them. We had forgotten how pretty the Oxford is. We got to Thrupp and we still couldn't find a mooring, everyone must be travelling down to the IWA at Beale Park, and they were all taken.We got a far as Kirtlington before we found one but by this time it was 7.00pm, a long day! We had some dinner in the cratch before settling down for the night. We were woken up by the rowers at 6.00am this morning!! but we had to get up early anyway. Al was going down to Kent because her mum was having her leg put in plaster at the hospital. Del and Thomas left Al at 10.00am at Oxford station and then made their way to Oxford's biggest museum, the Ashmolean. They were in there till lunchtime when they came out and had a McDonald's. They then went to the Science museum before they checked out some of the universities before heading back to Derwent6. Del and Thomas then waited for Al to return, where we shared the stories of the day. We left Abingdon at around 10.00am and made our way up to the first lock where Del was not happy as we took off some paintwork on the bow. There was only one boat in front of us getting water, so we only had to wait 20minutes before we got ours but when we had finished there was a queue of five boats. Most of them in a rush! We made our way to Oxford which was out in the country but with trees either side of us there was not much to see. We did enjoy it though!!!! After getting through two locks we got to Oxford and were lucky enough to spot a free mooring at Folly bridge. It was a bit shallow but we got in. After some lunch we walked into the town. It was packed with students from all over the world and really buzzing with bikes and joggers. We had a walk to the Oxford canal and were surprised at the better moorings along these parts. We walked back along the Thames. 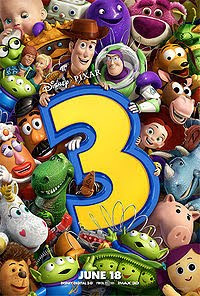 After some dinner we walked back into town and up to the cinema where we went and saw "Toy Story 3" in 3D and we've got to say it is the best one yet!!! We got back to Derwent6 at around 9.45pm and sat out in the cratch with a drink till 10.30pm. We moved on up through Clifton Hampden and then through Culham before getting to Abingdon. We luckily found a mooring close to the bridge into town. We then had just enough time to go to the museum at the Central Hall, where Abingdon was oozing in history. We then went to the Abbey, which had just closed, but we did go to the gardens. They had a swimming pool and a area with surprise fountains which Thomas loved. We then played Crazy Golf, but I'm afraid Uncle Del beat everyone!!! We got back to Derwent6 where we had something to eat and then played games for the rest of the evening. The scenery along this part of the Thames is beautiful, and it was a shame it was raining. We then got to Goring which also looked very nice, but the weather stopped us going there. We're sure there will be another time.... The weather started to get a bit better and it stopped raining as we carried on to Wallingford. The moorings here were again a bit scarce, but we managed to stick Derwent6 up against a high wall right outside the pub The Boat House. Al and Thomas then went and explored the town and found the castle (Oh and Waitrows). Opposite us was a campsite and for four pounds it had a outside heated swimming pool which was open to the public. So as the sun had started to come out and the pool was nearly empty, it was swimmers on again and Del and Thomas had some fun. Swimming pools make you hungry, so we went into the pub next to Derwent6 and had Steak and chips for £3.99. Then we needed to walk that off so we went Geocaching to find the long lost churchyard and Al found a ammo box with hidden contents. Thomas did a swap for something he liked ....great fun!!! Yep we were knacked as we walked back to Derwent6 and we sat in the cratch for a bit where Del got his toes bit, before crashing into bed!!! Good telly, so staying put.